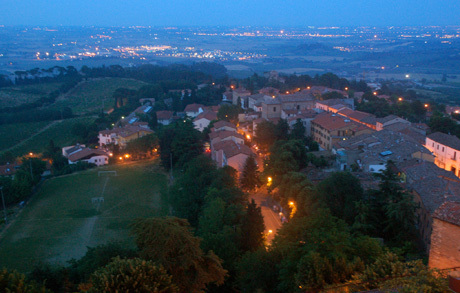 SSSW is held in the University Residential Center located in the small medieval hilltop town of Bertinoro. 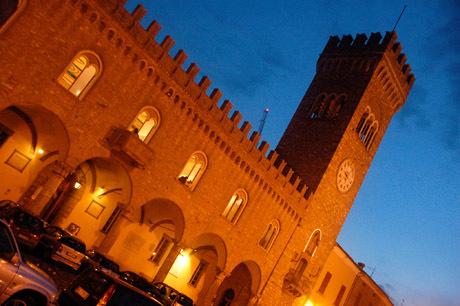 This town is in Emilia Romagna about 50km east of Bologna at an elevation of 230m above sea level. Bertinoro is easily reached by train and taxi from Bologna and is close to many splendid Italian locations such as Ravenna, Rimini on the Adriatic coast, and the Republic of San Marino (all within 35km) as well as some less well-known locations like the thermal springs of Fratta Terme, the Pieve di San Donato in Polenta and the castle and monastic gardens of Monte Maggio. Bertinoro can also be a base for visiting some of the better-known Italian locations such as Padua, Ferrara, Vicenza, Venice, Florence and Siena. The transfer takes ~15 minutes and the cost is ~20 euros.